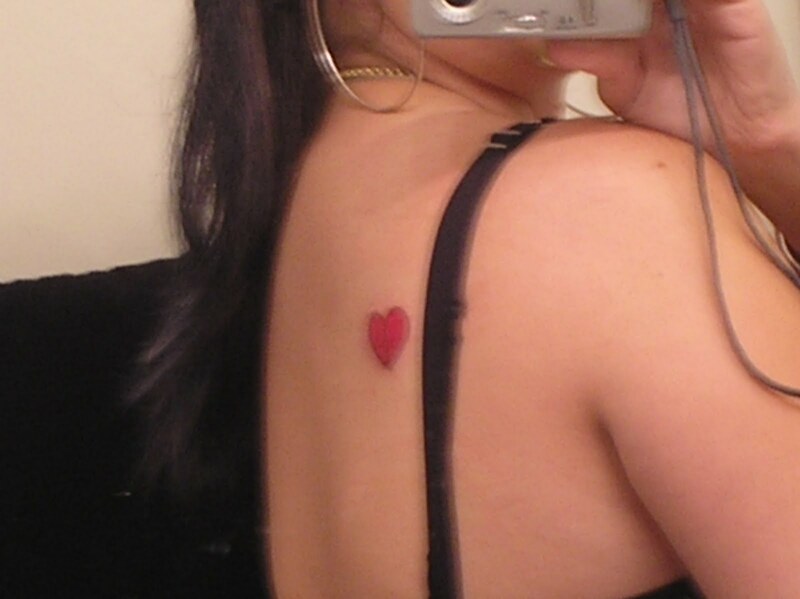 I got my first tattoo yesterday. I had been thinking about it for years, and finally decided to go through with it. 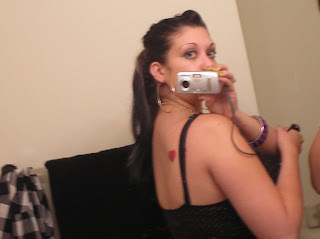 I started out small-a small bright red broken heart on my shoulder blade-but I will definitely be getting more! I looove it! You can barely see the broken line down the middle in the pics..better pics to come later!